Nebraska’s only private Dog Behaviorist and Puppy class Instructors are hosting the top Puppy Socialization classes in Omaha at Dogtopia Southwest O (14485 West Center Road in Omaha – West of Oakview Mall, next to Shopko). Classes are separated by age and size to ensure that its a fun and positive experience for your new little buddy. 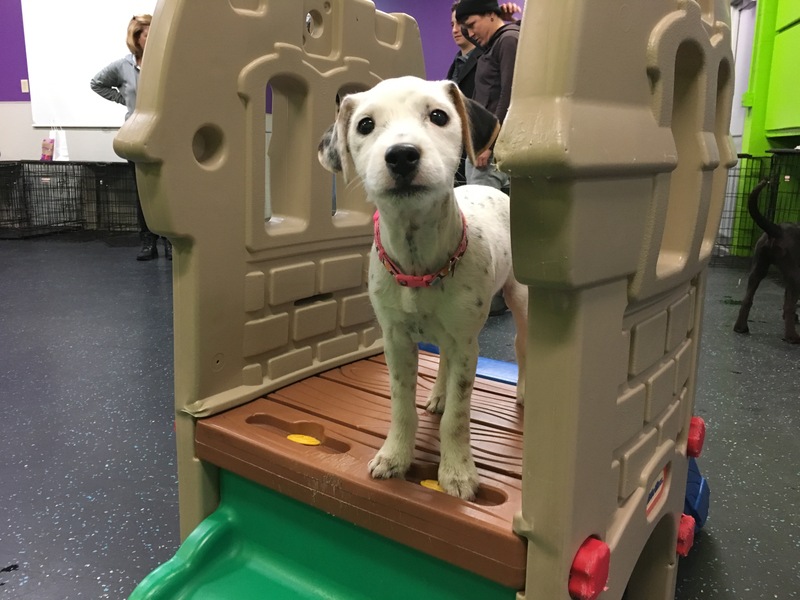 Half of each one hour class is devoted to basic training and for the last 30 minutes we help your puppy learn social skills while romping around with the other puppies in each class. This puppy school curriculum is based in Dog Psychology and positive reinforcement. We will show you how to communicate what you do (and don’t) want from your puppy in a way it understands and respects. These techniques have been honed by the Dog Gone Problems staff while training thousands of Omaha area dogs. Classes are limited in size to ensure you get personal attention and your puppy isn’t overwhelmed. Puppy learning and play should be fun experiences. We have crafted classes to show you how to easily educate and train your puppy, leaving it feeling confident, satisfied and well exercised. Intermediate puppy training; teaching your pup to stay. Advanced puppy training; the Heel, aka Loose leash training. For puppies from 8 weeks to 5 months. Class runs one hour each week unless specified otherwise. Classes are designed to build skills and are most effective when taken together, however you can enroll in a single class too. Puppies enrolled in all three classes receive a 20% ($75) discount. Click this link to get more information on our upcoming classes or to sign up your puppy.